This Place of Worship was founded in 1907, and we understand it is still open. In 1907 the "Tuffley Conventional District" was formed from parts of the parish of St Paul, Gloucester, but also incorporating some parts of Matson and Hempsted. An old stone building, built in 1881, which had previously housed Tuffley School, was consecrated as a church and dedicated to St Barnabas. 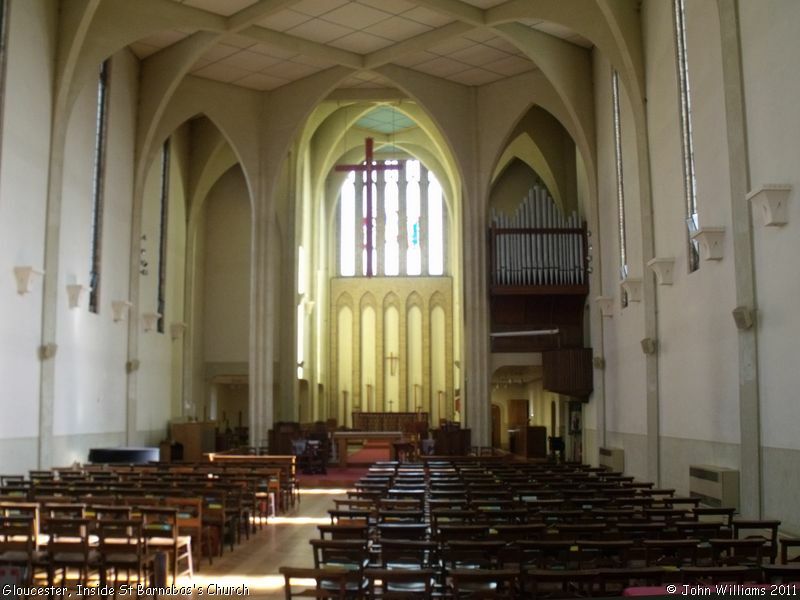 Over the next few years, large numbers of houses were built in Tuffley and hence the congregation grew. In 1922 it became necessary to construct a wooden building alongside the old school building. 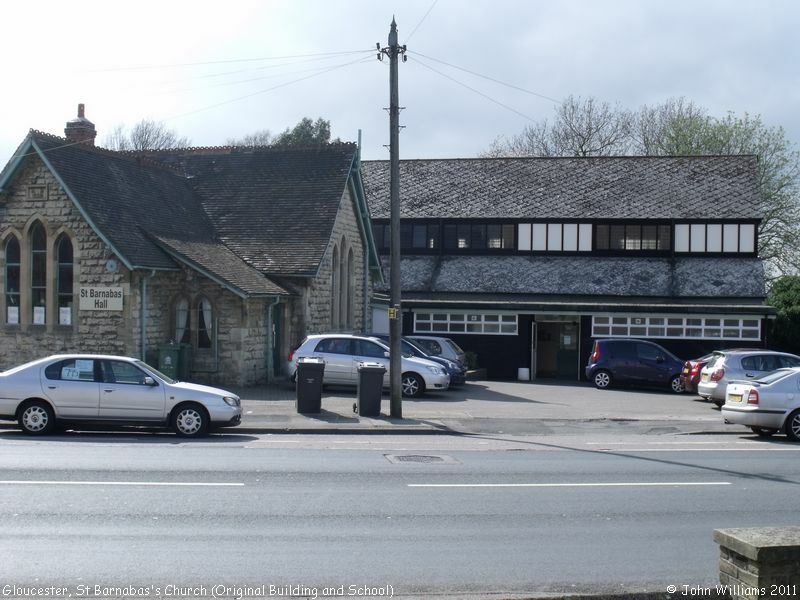 As can be seen on one of our photographs, both the original stone, and wooden buildings have survived, and are still in use for a wide range of parish and community activities. 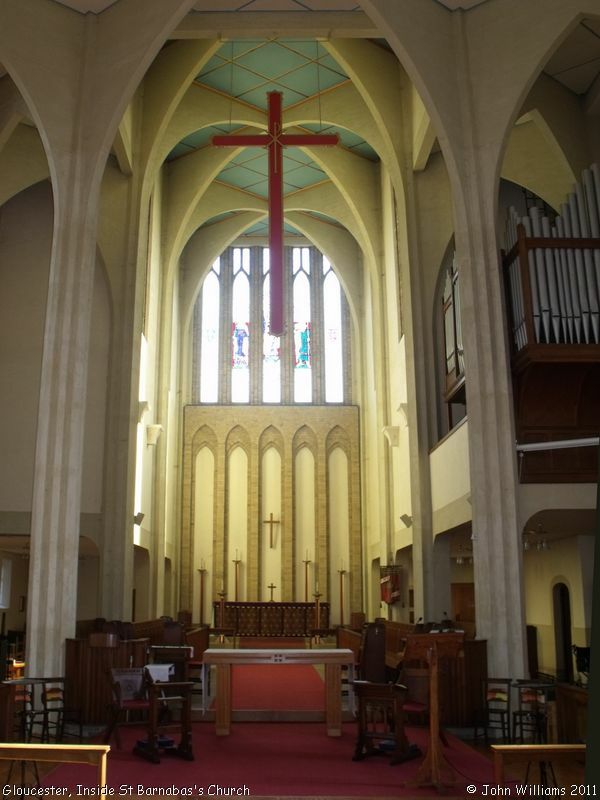 In May 1930, St Barnabas was made a Parish in its own right, and, at a cost of about £13,000, construction of the present church of St Barnabas started in 1938, to a design by N.J. Cachemaille-Day. 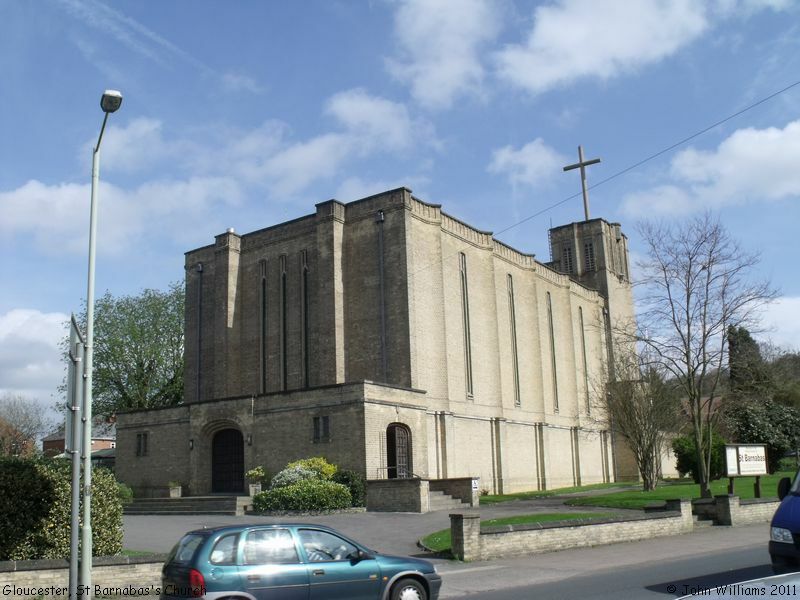 It was consecrated on 28th September 1940. To link new with old, stones from Gloucester Cathedral and Tewkesbury Abbey were built into the East Wall beside the High Altar. The 19th century font came from Kempley Church. 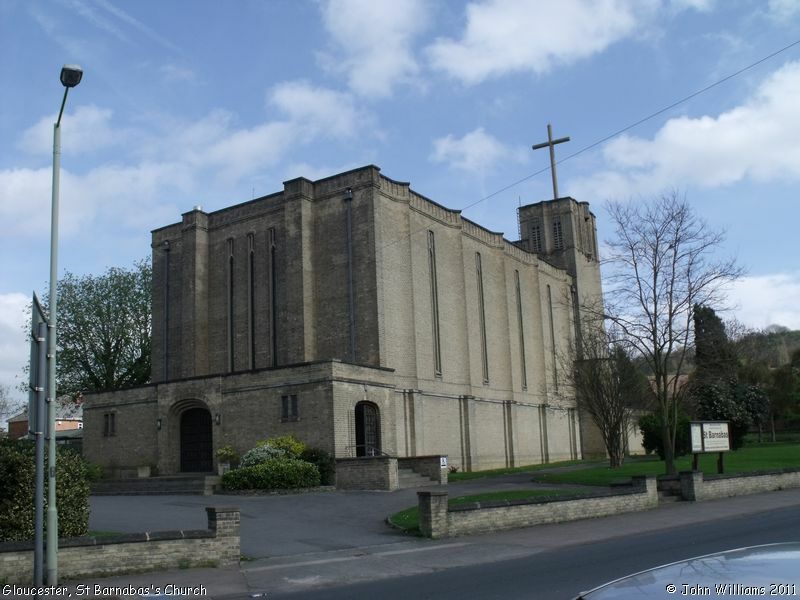 St Barnabas is a Grade II listed building and has been described by Pevsner as "the best interwar church in the county". St Barnabas's Church, Tuffley, Gloucester shown on a Google Map. I have found many websites of use whilst compiling the information for this database. Here are some which deserve mention as being of special interest for Tuffley, Gloucester, and perhaps to Local History and Places of Worship as a whole. Information last updated on 22 Oct 2010 at 14:23. 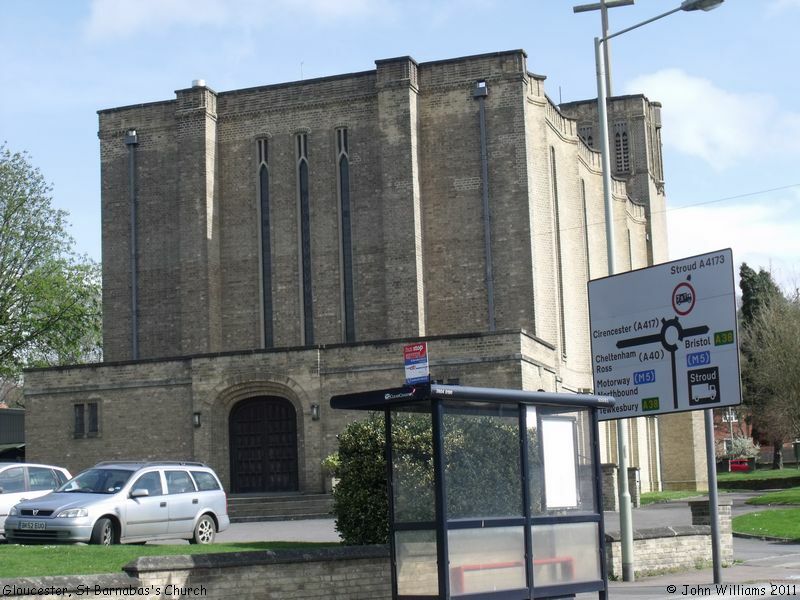 Please also remember that whilst the above account may suggest that St Barnabas's Church remains open and accessible, this may not remain so. This Report was created 27 Mar 2019 - 11:10:56 GMT from information held in the Gloucestershire section of the Places of Worship Database. This was last updated on 7 Feb 2019 at 07:45.